In terms of formula, they couldn't be any better. Amazingly pigmented, easy one coaters and super fast drying. They are all packed with very thin shimmers in a black base and share the "glowy in the middle - black on the edges" vampy look. Black Bronze is by far my favorite of the collection. It has a black base and is packed with all sorts of gold ans green shimmer flecks leading to an overall antique gold/ olive overall look. I've always had a thing for blackened gold shimmers and obviously this one's no exception. 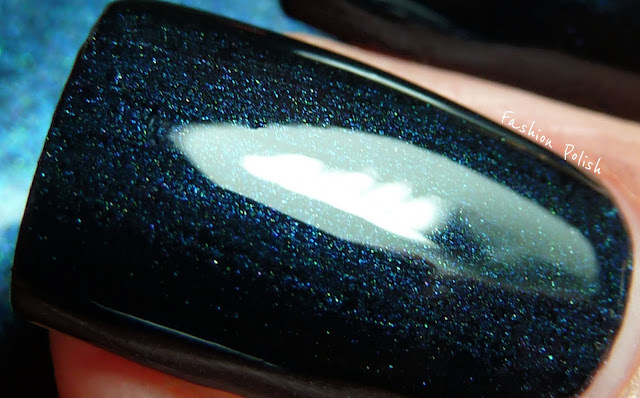 Black Lapis is a cool tone dark blue shimmer. My second favorite, it's very different from its other YSL siblings, much more cool toned than Moonlight Blue from the "Jardin de Minuit" collection for example. The thing I really love about it though is the extra small green shimmer particles. 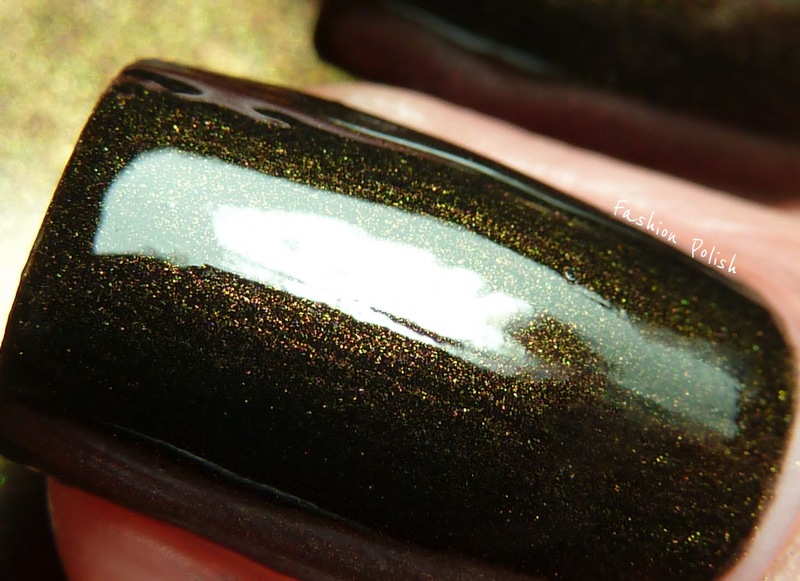 Black Indigo is a dark warm purple blackened shimmer. Definitely the darkest of them all. The shimmer doesn't really peek through this one and it definitely looks way darker than the other two but isn't this collection called The New Blacks after all? A pretty nice collection, not the most unique of course but with flawless formulas. The only downside I could find would be the size of the polishes : 0.2 fl. / 6mL. I would love for them to be bigger. @Liz (Beauty Reductionista) I don't think tey'll shrink the size permanently. They seem to like to release "small" limited edition bottles and keep the regular size for both their core collection and the seasonal products, like this Fall's Jardin de Minuit. As far as I know, it's a marketing decision from "L'oreal Produits de Luxe" to which Yves Saint Laurent belongs. They also own Lancôme and release smaller sizes for their LEs ("29 Saint Honoré" or "L'Wren Scott" collections for example) xoxo. @Mary You're welcome Mary! Thanks for your comment. I love the look of Black Bronze but I think these are wayyyy too pricey for the size. I like them all, but that's because I don't have any colours like these in my collection. They're not totally unique, but still gorgeous. 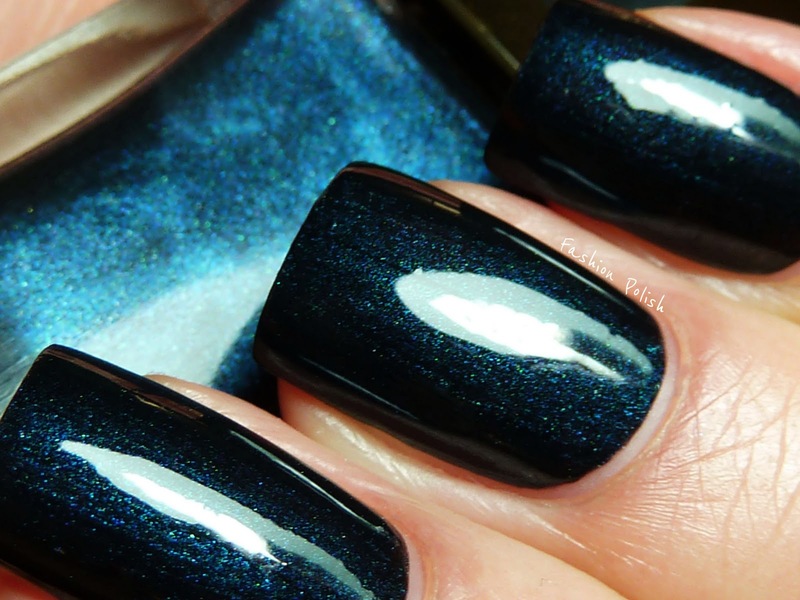 Black Lapis and Black Indigo are amazing!Love your nails! @the-swatchaholic I did find them quite dull too but using one coat of polish over my grainy ridge filling base coat sur didn't help. SO I added topcoat and they came to life. Gostaria de saber qual a camera fotográfica que você usa, pois fica perfeito. Se puder me responder ficarei feliz! I think I held these in my hands 20 times this weekend.. and not buying them won't be regretted. Obviously they are pretty and the feeling of a pretty bottle can be good too but they are just not worth the price tag I guess. Shame, the idea was so good! Major impressed with these shades and your photos too!!!! We don't have anywhere that sells YSL for about 200 miles. I need to go on line to even see what YSL is $ wise per bottle. That's saying something for me since I stopped trying the more expensive brands after buying a # of Chanels and a few others beyond my price point and was super disappointed with everyone of them I bought. Any good pointers where it's the best deal to buy YSL on line and get free or cheap shipping? @FashionPolish I also often add another clear coat topper the day after polishing. It helps life of the job as well as really gives me that amazing shine. I am a big fan of SV - tried many but just keep coming back to SV. I do need to try Essie toppers again. I tend not to have any fav on base coats but I always use one, Orly, Zoya, Nubar, OPI. @FashionPolish Oh, good to know! I've passed on the small Lancome polishes for the same reason. I'd love to have them all but can't live on nail polish alone, lol. Thanks for answering my Q, Sam! 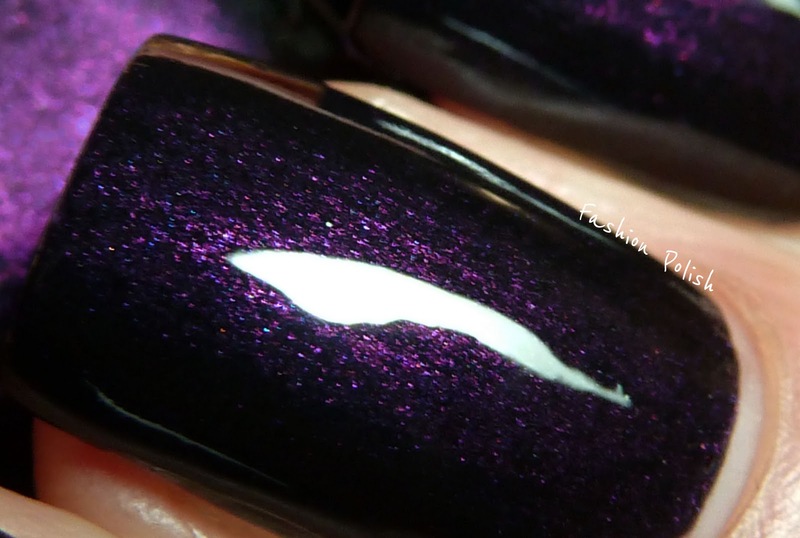 Great job making that very hard to see on the nail shimmer sparkle! they all resemble a glittery liquid metal... so GORGEOUS! These feel a little like the Chanel Russia collection.